New York, New York - May 2018- Gallery 198, a contemporary art gallery at the gateway to Industry City in New York, is pleased to unveil new works of the Russian Ballet by internationally celebrated artist Kevin Berlin at Art New York, on May 3 - 6, 2018, at Pier 94 in New York City. The solo exhibition will be the worldwide premiere of Berlin's highly anticipated new body of new work, HOPE DIES LAST. Gallery 198 is owned by Matthew Jon Galleries, is a Brooklyn-based contemporary art gallery located at the gateway of Industry City. 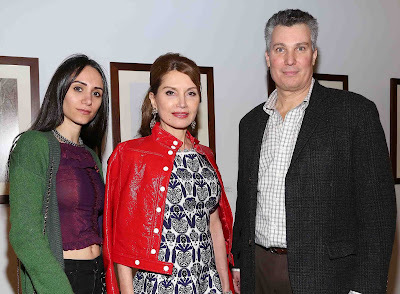 The gallery is owned and managed by Matthew Barash, a dynamic art collector and entrepreneur focused on representing fast-emerging and established contemporary artists. He showcases their work alongside a diverse range of expressionists from his family collection, such as Jules Olitski, Wojciech Fangor, and A.R. Penck.